We hope that you enjoy browsing through our site and get inspired by our wide range of furniture, Linen and Décor items. 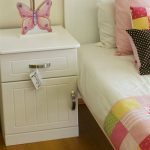 Our Furniture is made from MDF supawood that is strong enough to last a lifetime and painted with lead-free paint for the safety of the whole family. Your baby deserves the best, and we have the softest and most adorable linen custom made to your theme and colour scheme. Order online by clicking on the buy now button on each product. We hope that you enjoy browsing through our site and get inspired by the ranges that we have on offer. Buttercup Kids offers you a one stop solution to all your baby and kids furniture, linen, decor, accessories and gifting needs. We offer off the shelf options as well as a large range of customised linen and accessory options. Pop into our store to see, touch and feel our current offerings! Bring your ideas and we’ll make it happen! ButtercupKids not only supply quality Furniture and Linen to the market, we also follow the fair trade principles in our own* workshop whereby workers are being trained and fairly compensated and in return they manufacture high quality items to be sold to you, our client! (* own – we manufacture our fabric items in our own workshop). All our furniture and linen products are manufactured in South Africa! No cheap imports! •Our Furniture is made from MDF supawood that is strong enough to last a lifetime and painted with lead-free paint for the safety of the whole family. • Your baby deserves the best, and we have the softest and most adorable linen.